Phil Vassar, the award-winning singer, songwriter and producer, drops his ninth studio album, American Soul, on Friday, December 2, 2016 with a unique, weeklong celebration of American ideals. American Soul was produced by Vassar and his longtime vocalist/guitarist and collaborator, Jeffrey Smith. Vassar and CMA/ACM Song of the Year winner, Tom Douglas, co-wrote the upbeat title cut, which makes reference to iconic American imagery. The unique album cover was painted by noted artist Jason Irwin, and is filled with classic Americana references - musicians, ice cream, classic cars, and nods to hunting, beer, sailing and more. 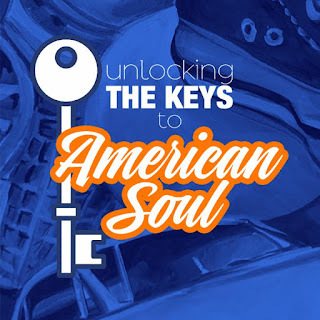 Given the title track, "American Soul," paints a wonderful historical picture of America, Vassar and team will promote the album with eight days of giveaways - all in the spirit of "American Ideals. "* The week will be highlighted in print, radio, and online media. Philanthropy - 10% of album sales on 12/1 & 12/2 will be donated to St. Jude in support of Country Cares for St. Jude Kids, the radiothon program that has raised over $650,000,000 for the St. Jude Children's Research Hospital. Hard Work - Swing by Carl Black Chevrolet's Nashville, Orlando, & Atlanta locations to pick up free music on 12/9. Or, enter to win Phil Vassar swag at philvassar.com. "With so much negativity and sadness in the US right now, it's good to pause and reflect on the many positives. We are truly blessed to live in a nation where we are free to chase our dreams and reap the rewards of hard work and good will," said Vassar. One of Vassar's many loyal fans summed it up perfectly - "American Soul is a fantastic tune - worth the wait and a perfect song for a divided nation that needs to come together and remember what makes us strong, proud, and great." *Contest details and entry information available at philvassar.com and @philvassar on social media platforms.